Sometimes science reporting can be something like a game of 'telephone', played between various reporting agencies, primary sources, and the public. The power of this has been shown by a recent debacle regarding the projected tsunami debris reaching US shores. 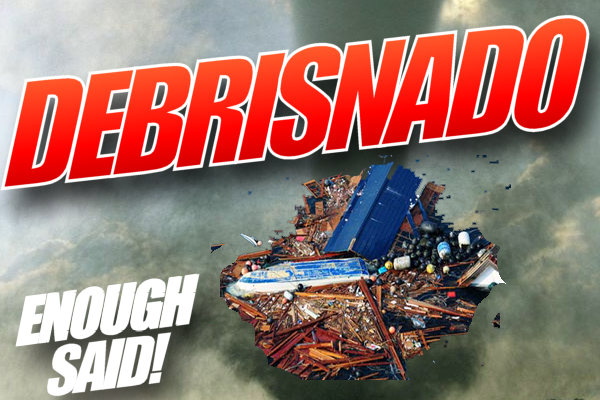 NOAA's debris model was recently misinterpreted by a certain large media network, giving the idea that an unstoppable mass of toxic debris was headed to US shores. Wait, what? 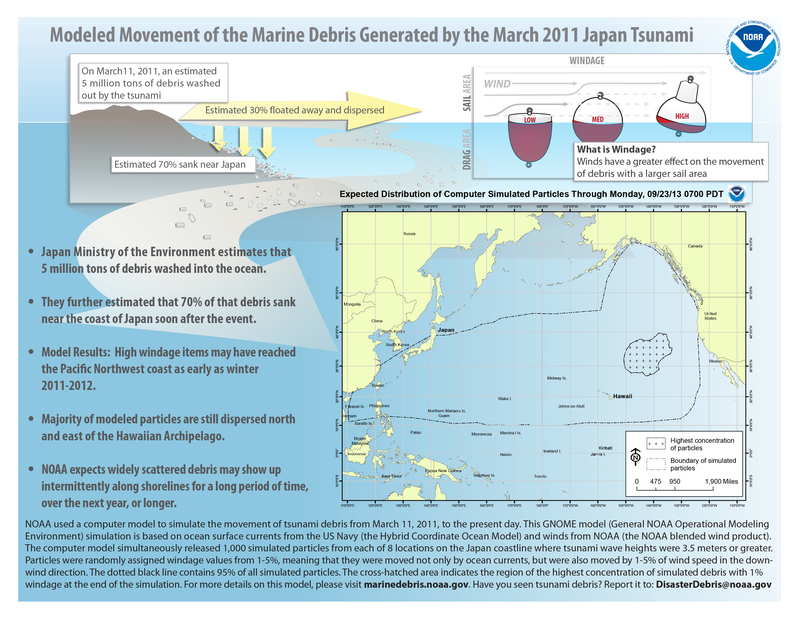 1: NOAA updates its tsunami debris graphic- something it has been doing since 2011- in September. 2: Fox News somehow found the graphic early in November, disregarded the explanatory legend and information, and inferred the patch is a solid mass of garbage, rather than the probable area where a bulk of floating debris is found. They also inferred that, like some climatological horror movie (Sharknado, anyone? ), that this solid mass of toxic (?) debris is now making an unstoppable path to the US West Coast. 4: Likely starting with this one single misinformed source, the false information reached the public. 5: More media outlets mass distribute the story, altered from each other's original stories, without researching the source of the information. Unable to sort real news from false reporting, people panic. 6: Those of us trying to communicate science wave our arms in frustration, a tear is shed for science, and NOAA is forced to issue a statement saying this isn't the case and tries to relate the correct information. This chain of events isn't unique. Often, facts are misreported due to one single failure to fact check. Unfortunately, sometimes these misconstrued facts are exciting ones, and make their way through the news waves before they can be corrected. As most of the public tends to get their information from media rather than scientific sources, it is even more vital that reporting is correct and reliable. The lesson here is to be very careful where information comes from; the best option is to go to the scientific source. So what is the real story behind the tsunami debris? First, check out this post on how a model is created. What the map (below) really shows is a debris field spread across the entire Pacific Ocean, with a high concentration of debris in the dotted area; this is the same information that NOAA has been posting for two years. Certainly, that chunk of debris might end up on US shores, potentially costing millions of dollars to clean up, but very little of it is toxic. Most is composed of wood, boats, and other buoyant items that have floated their way across the ocean in the last two years. If you would like to learn more about tsunami debris, please check out my archived posts for more information on ocean currents, marine debris, plastic pollution, radioactivity and the Fukishima disaster, and many other topics! The routine NOAA debris model graphic that sparked the whole ordeal. Click here for a larger version.